June 18 , by Mardi Robyn. 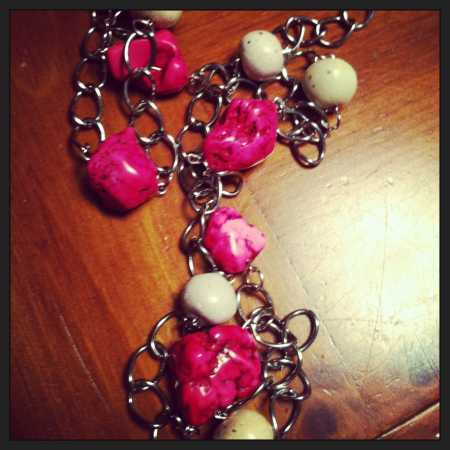 Stephanie from Henry Happened has some great jewelry making tutorials posted on her blog. I have featured several throughout the past few months. She is so creative, it is inspiring. 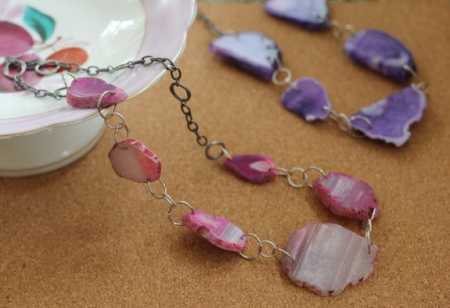 While browsing her blog over the weekend, I came across her tutorial for a Pink Stone DIY Necklace. She was inspired by one she saw in a jewelry store and made her own knock-off version of the necklace She explains in her blog post how she found the stone beads. I was inspired by her tutorial to try making a similar necklace. 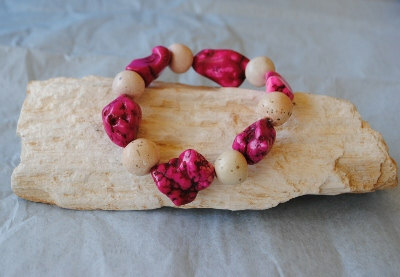 I do not have the same kind of stone beads on hand, but I remembered I had made this stone bead bracelet a few months ago. I decided to take the bracelet a part and use the beads to make a necklace inspired by Stephanie’s tutorial. Ta-da! It was easy to follow the instructions in Stephanie’s tutorial. It took me under an hour to make the necklace. I like it. 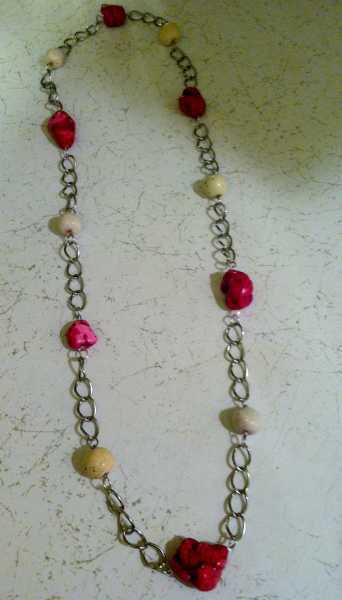 I may play around with the layout of the beads, maybe shorten the chain, or I might leave it like it is. I like how it turned out. What do you think?